On the last thread, the lovely Ms. Kizzi posted a link to a Jim Cantiello column I’d never read (I LOVE Jamba Jim but only discovered him when he started tweeting). I don’t think a lot of fans have read it either, judging from the number of comments … zero … and we were nothing if not rabid David-defenders back then, lol). During AI7, I followed Entertainment Weekly’s recaps of the show but somehow missed MTV’s. Looks as though they had a lot of the same misconceptions that EW did. I didn’t get it then and I still don’t get it. Were they watching the same show we were? Were they watching the same David?? Sure, he seemed young for his age, but in a sweet, genuine way. A throwback to a kinder, gentler time. “Creeped out”?? By what? Incredible singing? An actual humble person in Hollywood?? Someone who isn’t fake or manufactured or swagger-coached??? *Deep breath* Sorry, having AI7 rage-issue flashbacks. But if you read Jim’s column, he does make a good point. To some, David came across in person, much more mature, well-spoken and full of personality than he did on the show. We brilliant people, of course, saw through all the hijinks Idol tried to play on David and watched every interview we could get our hands on, so we saw that maturity and personality in action. But those not as gifted and insightful as we lot 🙂 needed to be bashed over the head to “get” the amazingness that is David. So for those who think he has an “image problem,” I say it’s more a perception problem. Ours, not his. How to do that? I have no idea. Do you? 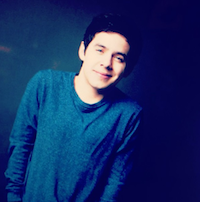 Having Survived ‘Idol,’ Jim Can Now Finally Reveal the Truth: David Archuleta Is Not Who You Think! Nope, not Fantasia’s awesome hair. Nope, not the fact that Ruben Studdard was really 9 feet tall in person. Actually, it didn’t even happen on the red carpet. It occurred backstage in the press room, and I call it the David Personality Shift. Conversely, there was ArchuRunnerUp, who haters bashed for his awkward “gosh’s” and giggle fits. Several of my co-workers have been “creeped out” by how he often acted like an eleven-year-old boy, as opposed to a seventeen-year-old dude. Well, based on the few minutes I witnessed in the press room, Archuleta was a shockingly mature, well-spoken young man. He finished all his sentences; he didn’t gasp for air more than John Goodman on a staircase; he didn’t shrug and turn away from the camera like a Harajuku girl. In other words, he came off like the complete opposite he did while on the telly. And he…had…tons of personality! 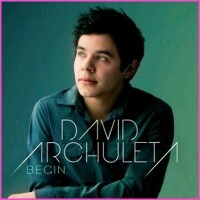 Where was this Archuleta all season long??? 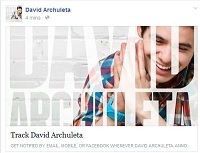 This entry was posted in Fan experience and tagged David Archuleta was always bettah. Bookmark the permalink. I always think when people say he’s phony or weird it reflects more on them than him. Not that they’re being intentionally mean but that they’ve had some negative experiences out in the big bad world and they’ve become a tad cynical & jaded. It’s sad when people don’t see kindness and naivete for what they are. He was just a kid and kids should be allowed to be sweet and unspoiled as long as they can. And after reading his book, it sounds like he was just plain exhausted and stressed out a lot of the time and could probably hardly think straight. He poured everything he had into performing and then to have someone shove a mic in his face and ask silly questions that needed an immediate soundbite? Maybe that wasn’t his strong suit but after all the spirit-crushing AI stuff was behind he came into his own and has been getting better and better ever since. I find it sad too that people could look at David’s “realness” and only see “fake.” It’s like they’ve forgotten what “real” looks like, or something. I remember this article when it came out. There were maybe hundreds of comments, I think the website cleaned them out. A lot of names we’d recognize. Mine? I don’t remember. I agree with newangel about people’s thoughts of David reflecting themselves rather than being based on knowledge. I know I had a group of people who thought I was NUTS to be voting for Archie because he was so clearly an abused child. That he “shouldn’t” have been tired because of the extra burden of schoolwork because Jordan Sparks had been the same age and SHE didn’t look so tired. And agreed, he’s been getting better and better ever since. I always went to his concerts not thinking he could top the last tour and he always topped himself. David Doesn’t Disappoint. It’s too bad the comments were removed (I think, lol)… would be interesting to read them now after all this time. Anyway, if you click that link you’ll see several hundred responses to Michael Slezak’s “Idol exit interview” with David (tho’ the interview is not there, but on YouTube, the comments are) Most are “converts” or Cook fans, slamming Michael’s shoddy treatment of David Season 7 (EW really did penalize poor David for, of all things….being a frontrunner because he was…oh I don’t know….a phenomenon who deserved frontrunner status!) Most of the responses were admitting their change of heart & shock at how likeable, articulate, funny, charming, intelligent, mature etc, David was, and how ashamed Michael should be. Go read some of that….still mystified as to why people didn’t see it from the start, (though I think its all the reasons given here), but will make you feel a bit better! I remember this article too from way back when. I also remember the weird and strange things some people said about David. Pure lack of knowledge and quick judgments, it really is more a reflection of themselves than what is real and true, I agree with that too.Then of course there was the avid supporters coming out in numbers! I like Jim too (and his humour). Happy that he got to experience David’s full charm and wisdom, although we all saw it from day one I think. The fact that some folks just didn’t see it and did not hear or feel what we all did, will remain to be one of the unsolved mystery of the century I suppose, haha. Always thought David’s charm, innate wisdom and loveable, sweet personality was refreshing from day one. Of course to me, the masterly, velvet voice always demonstrated all those things too and much more. “Personally, I’m happy with letting David be David”. Me too! Love all the comments here. Me too. Exactly. Ya know why…sadly like you say…says way more about our society that a) people can’t recognize that kind of authenticity anymore and b) it’s so rare to see in people, especially young guys David’s age, that it is a breath of fresh air now…as in…something missing we all don’t even realize we’re missing so much, until it comes along. I’ve always felt it’s those people that felt that, that immediately glommed onto what we call the Archuleta “magic”, and David, mystified at our fervor, calls just being himself. 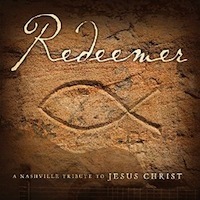 I had the kind of unusual perspective of reading all this stuff after the fact — it was early 2009 when I “discovered” David and my need for all things David ramped up in the months to come, which lead me to watching downloads of his season and going back to read the posts at many Idol message boards and blog sites. I really was struck at the amount of vitriol aimed at David. Were all these people so cynical that they couldn’t fathom of a teenager who was genuinely sweet and shy? I will admit, it’s somewhat of a rare character nowadays but they do still exist. I noticed a pattern though that the further removed it was from the season, generally the attitude toward David shifted. I don’t know if people were just finally convinced of his sincerity after longer exposure and seeing that his personality wasn’t a front…or if maybe they were willing to open up to the possibility of not harboring seething dislike when he was no longer a threat to their favorite on the show. One thing that did work against David was his early front runner status. The media and, sadly, a significant portion of the population, love nothing more than to see a fall from grace. Kind of like waiting for a train wreck. I’ve seen it way too many times with other celebrities. They’re on top and almost immediately after, people start hating. I think David did very much feel the pressure of being a favorite early on. The fact that he made it as far as he did, even with his fears and the intense pressure on him — I think it’s nothing short of extraordinary. good points, Tina, and what an interesting perspective to have on all this! Yes, it seemed that the afterglow of “Imagine” was short-lived for some and, as you say, the media turned on him there for a while… that he powered through all that is extraordinary, indeed! Unfortunately, some of the best aspects of his character are not that prevelent anymore. No matter what religion or belief system you have, how can his humility, kindness, authenticity etc, translate as anything other than admirable…instead of weird?! “No matter what religion or belief system you have, how can his humility, kindness, authenticity etc, translate as anything other than admirable…instead of weird? !”… EXACTLY!!! Of course I agree with everyone here……about his religion being a factor, etc. None have given a little credit to his mother,however, who he clearly adores. He just simply was raised to be that nice. His willingness to please all his fans with autographs, etc. and never complaining but being thankful for their love and adoration. And sorry, Justin Beiber, but thankfully it is obvious that our David will never, never, ever be an embarrassment to anyone. I’m sure glad that all my support is for someone who deserves it.